PEI’s Women in Infrastructure Summit will feature high profile keynote speakers and panel discussions with pioneering women in infrastructure. Speakers will provide insight into the evolving industry and share strategies and approaches to achieving success. The forum offers numerous opportunities to network and build impactful relationships. Join us to hear engaging and informative panel discussions about industry trends and deal flows from powerful women in Infrastructure. 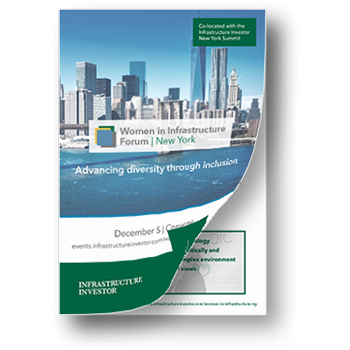 The Women in Infrastructure NY Forum provides women in infrastructure a platform to discuss business solutions, best practices and an opportunity to share their unique career paths and stories of success. 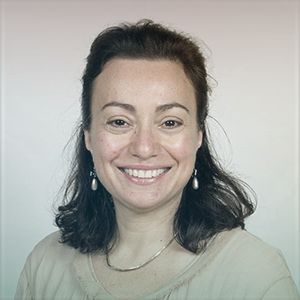 Confirmed to keynote the opening discussion is Matina Papathanasiou of QIC. Matina is currently the Deputy Head of QIC Global Infrastructure, a business she co-founded in early 2006. QIC Global Infrastructure has directly invested over $10billion in global infrastructure covering toll roads, airports, ports, water and energy utilities and social infrastructure. Matina is on the Management and Investment Committee and has overall portfolio responsibility. Register your interest for the inaugural Women in Infrastructure Forum 2018 to receive the latest updates concerning the event, the speakers, and venue specific information.